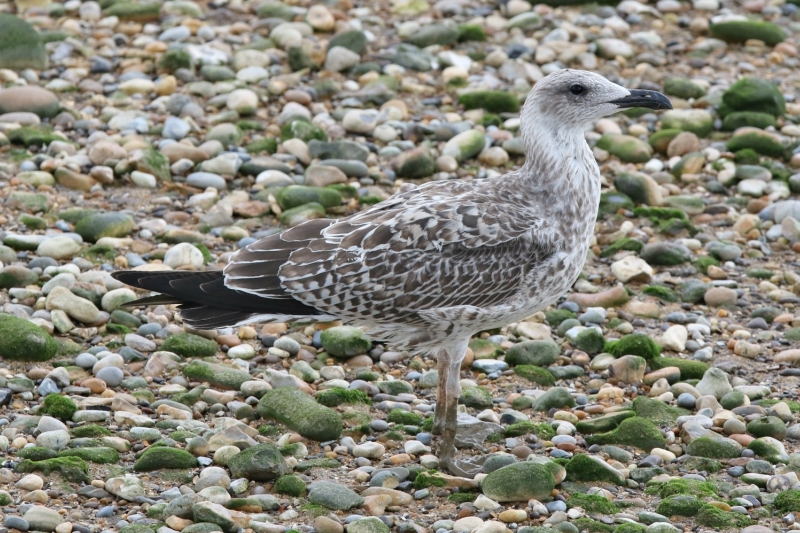 I quickly fired off an email to Paul Roper, knowing it was a Thames ringed bird, and within minutes he came back with an enthuasiastic reply. 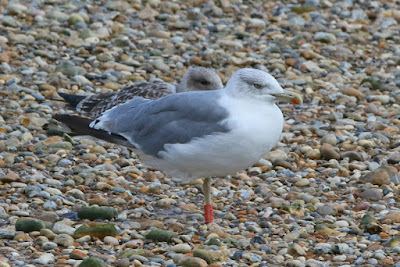 It had been ringed as a juvenile at Rainham tip, London on 27th August 2011 (photos of it then here) before turning at Nurlu, Somme, northeastern France on 20th January 2012 and then finally being seen the following winter, on 29th January 2013, in southeast France at Bourg-les-Valence, Drome (photo here). So where has it been since? 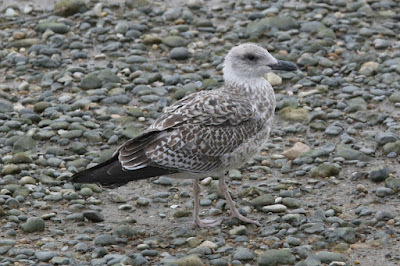 Who knows but presumably it is now breeding in eastern France, Switzerland or Germany, where there are a lot of lakes and few birders. 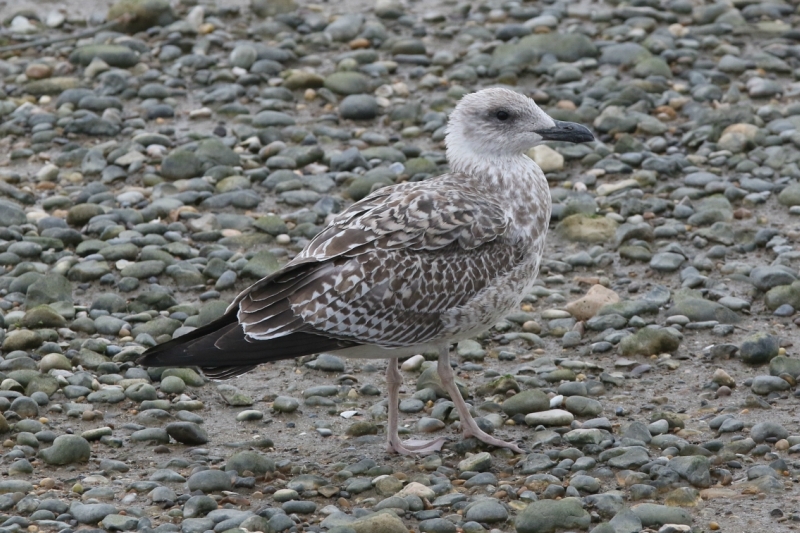 And why do I speculate this orgin? 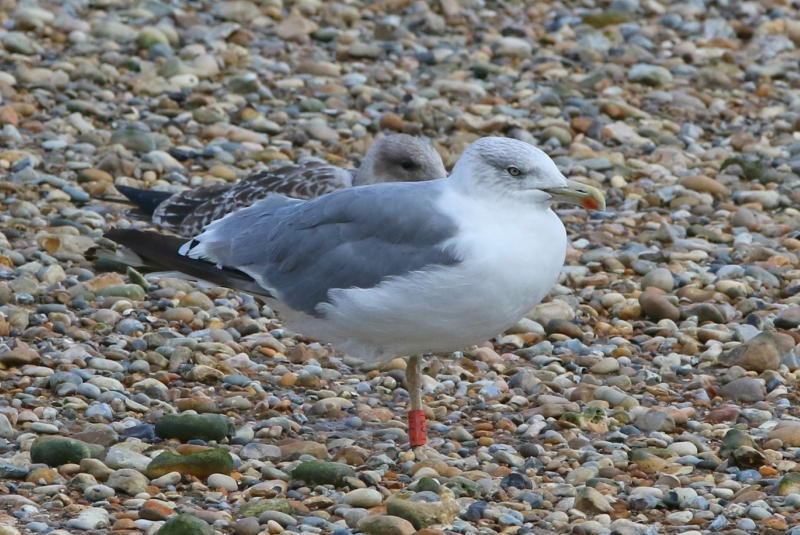 From the limited evidence I have from this bird's previous movements and three ringing recoveries of Yellow-legged Gulls that I've had in London/Essex - two from the big Swiss lakes and one from southern Germany. 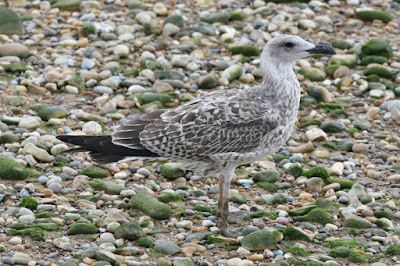 I had a further three juvenile Yellow-legged Gulls at Thames Barrier Park this afternoon with Dante and Jamie P, while there were three more at the O2 this evening - felt a bit cheated with this paltry total given that we'd waded through the hordes of Bros fans on their way to listen to a couple of peroxide blonds from yesteryear sing 'When Will I Be Famous'.